Welcome to Part II of my OAIS Reference Model crash course! By now you probably have noticed that I have refrained from including in this post any of the many graphed images that are in the OAIS reference model document. This is because before I had a basic understanding of the model, these images seemed supremely complicated and confusing…kind of like Power Point slides with too many words. I hope that what I provide here is a substantial enough understanding of the OAIS model to make the images less frightening when you do eventually encounter them. Terminology: An awesome vocabulary and glossary for the operations and information structures of repositories is located in Section 1. Mandatory responsibilities: A list of the things that a repository must do in order be considered an OAIS-type repository comprises Section 3. One particular action that this section calls for is identifying a designated producer/consumer community and ensuring that the information within the repository (metadata, etc), should be independently understandable (and accessible) by this community. This means that “the community should be able to understand the information without needing the assistance of the experts who produced the information.” Read this for more detail about the other mandatory responsibilities. A model for ingesting, storing, and providing access to stored items, including a very smart model for capturing each item’s metadata (Content Information) and preservation metadata (Preservation Description Information). Together, this data is discussed as an item’s “packaging information.” It is intended to include information about an item’s context in order to fulfill one of an OAIS-type repository’s mandatory responsibilities. This is all discussed in Section 2. An outline for administrative management of the repository and the OAIS functions is presented in Section 4. This discusses working with the creators of the digital objects and the objectives behind the day-to-day mangement of the repository. The administrative role also oversees the general planning and governance of the repositories, and include policy and preservation decisions. 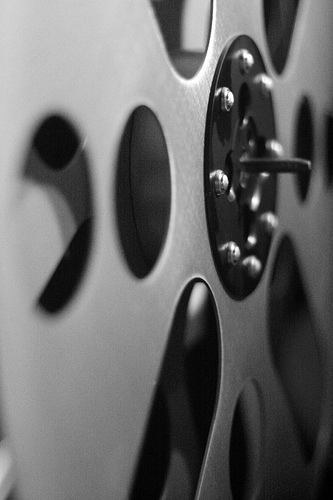 Actual preservation methods: Preservation processes such as digital migration and emulation are examined in Section 5. Preservation Planning is obviously a central part of any repository’s role. Archive and repository interoperability: concepts behind repository interoperability and federation are discussed and explained in Section 6. Heavy cooperation between repositories to develop common local standards in order to make this a possibility. By following the OAIS model and the mandatory responsibilities which it entails, a repository will gain recognition as an OAIS-type archive or repository. It is beneficial for a repository to be recognized as such because it means that the well-documented archival standards of the OAIS model will have been applied to help ensure the effective long-term storage, retrieval, and preservation of digital documents. Another benefit is that communication with similarly-purposed OAIS repositories will be easy and fluid. DSpace and Fedora are two repository software platforms that have included OAIS-compliance capabilities in their product. This helps pave the road for any repository that is built using either of these open source systems to follow procedures from the OAIS model. What I would love to find or collect is a list of actual digital archives and repositories that are following the OAIS model either by the book or in some variation. If anyone has a suggestion, please post a comment! The OAIS model is an international standard that has been adopted for guiding the long term preservation of digital data and documents. In fact, the OAIS model is an ISO standard (ISO 14721:2003): it was developed by the Consultative Committee for Space Data Systems (CCSDS) in 2002, and was adopted as an ISO standard in 2003. The document is freely available, despite the fact that most ISO documentation is usually sold as a service. It’s a hefty 148-pages, available in PDF form here. The OAIS model is a standardized model describing a way that digital repositories intended for preservation purposes can be run. 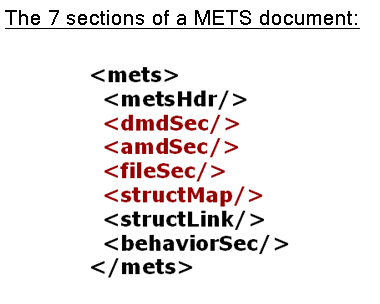 Within this model, you will not find a standard for metadata. It also does not endorse any particular repository platform, software, protocols or implementation procedure. The OAIS model is simply a set of standardized guidelines intended to aid the people and systems behind a repository that has been designated with the responsibility of maintaining documents for archival purposes over a long period of time. OAIS stands for Open Archival Information System, the word open referring to the open and public process under which this model was developed. Participation in its initial development was encouraged by the CCSDS, and as an ISO standard, it will go under review every five years. As a final note, is important to make it clear that the OAIS model is by no means a requirement for a digital repository; while it is a recognized way of running a repository, it is not the only way. It may not fit for some repositories, depending on their intended size, resources, and designated communities. But admittedly, when a repository chooses not to follow the OAIS recommendations, it cannot fall under the umbrella of the most widely-used and understood digital archive standard. I really benefited from reading this post by John Mark Ockerbloom, the editor of the blog Everybody’s Libraries. I almost considered forgoing my own entry and just directing readers directly to his! And then I found this post and was blown away by how thorough it is. It’s really well done and I’d encourage you to check it out. Brian Lavoie of OCLC wrote this introductory guide to the OAIS model. These slide show presentations have excellent and concise information. This page is a brief run-down of OAIS from the JISC Standards Catalogue.